How will you hit your growth targets? What will the org chart look like? How do you celebrate wins and handle losses? What will you do to manage expectations inside and out of the company? What you decide to do for one of these questions can affect many of the others. One of the most far-reaching and impactful choices you make is whether you promote from within, or hire talent from outside. While sometimes, a role requires a veteran from outside, there are many benefits to promoting from within as much as you can. Today, we look at the reasons you should try to promote from within whenever possible. Are you excited to pay more for lower performance? Unlikely. Here’s a few great reasons why the Wharton study likely came out this way. The longer you can retain your best people, the stronger your culture will be. Long-time leaders can help be better hiring filters to maintain your early culture’s feel long after the “small team in a garage” stage is past. Who you choose to hire as you grow matters a lot, and at some point, founders are not going to be able to filter everyone themselves. Having people you have trusted for a long time be part of those decisions instead can help ease your mind and scale culture fit decisions. Familiarity: The new leader already knows how to get things done in your company. Rapport: They have many existing relationships within the company and especially their team. Mobility: It creates an opening behind them for someone else to move into as well. Starting Cold: An external hire has to build fresh relationships, slowing you down until they build them (or permanently if they do not). Culture Shock: They can bring a culture to their team that clashes with what the team is used to. Blocked: Hiring in means everyone below them in the org chart stays where they are. This does not mean all external hires are doomed to fail. However, it does mean that it’s harder to get it right. 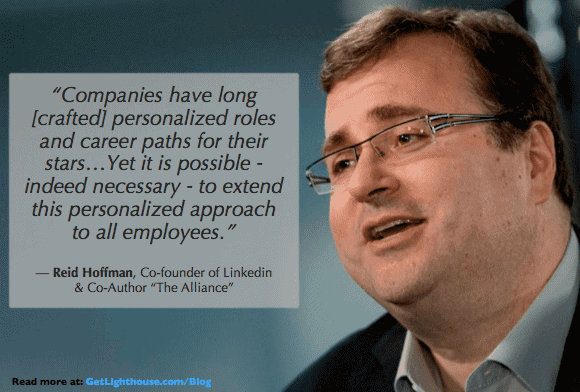 The Wharton study referenced above found the external hires that lasted over 2 years thrived. The example you set is the most important part of developing a strong culture at your company or on your team. As Jobs and Branson describe above, promoting from within is a great way to preserve your culture as you grow. 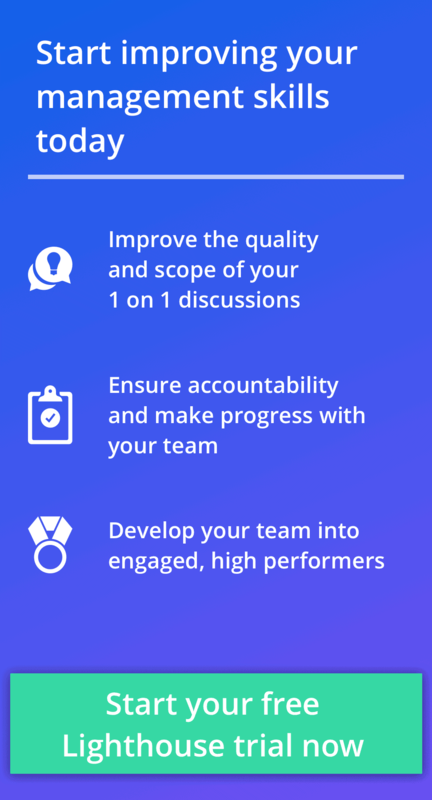 Are you a new manager looking for help building the right habits to get the most of your team? Then learn and follow the best practices of great leaders by signing up for a free trial of Lighthouse here. You want your best employees to stick around, right? Show them working hard pays off. Study after study after study from the likes of PwC, Gallup, Deloitte, and Google all show that employees want growth and development. This often becomes an issue as early as 25 employees. When you promote from within, you’re showing your people that if they stick around, do a good job and work hard, they can be rewarded. When you recognize people for their loyalty and demonstrate your loyalty for them, you keep your part of the social contract as their employer. Regular moments of praise and appreciation can go a long way, but at times, you’ll need to make larger gestures to keep your best people. When you promote from within, you’re making an essential, significant gesture. Demonstrate there are growth paths. Showing your people you have faith in them to tackle new challenges is a great win-win in the loyalty department. For your employees, they get a new challenge and opportunity to prove themselves again, growing within the workplace they’ve grown to love. For executive leadership, this gives you a way to show to everyone what matters and what you want to see more of. 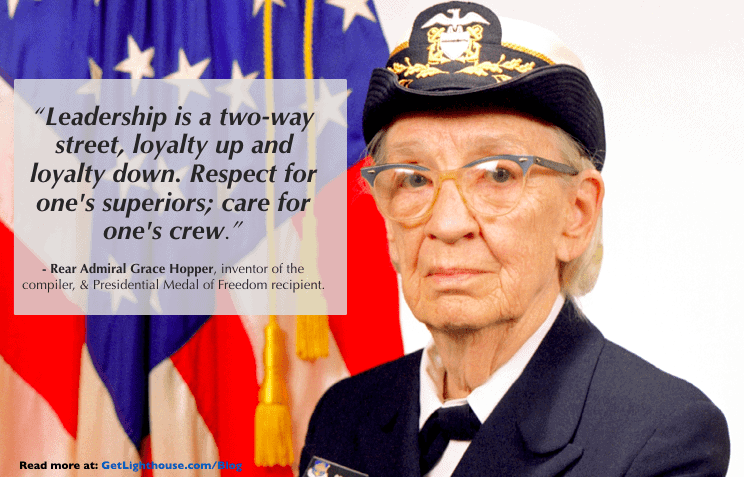 How are you rewarding your most loyal people? 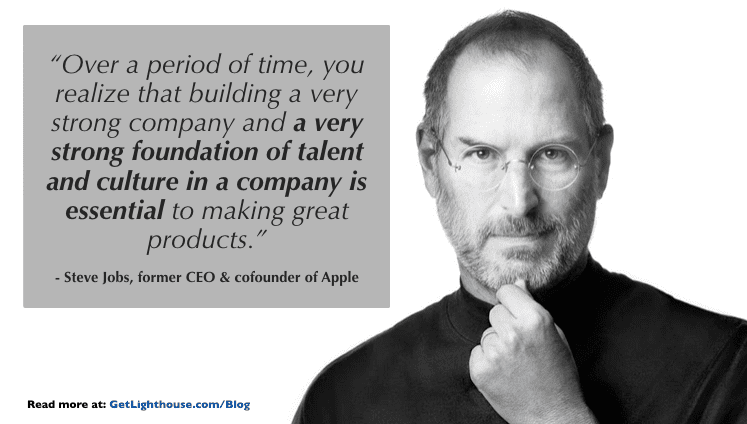 Who are the role models you’re choosing for your company? Want to help your people grow, while making your managers more effective? Then click here to learn how Lighthouse can help bring great leadership habits to every manager in your company. Beyond preserving your culture and growing your people, when you promote from within you ensure key company knowledge sticks around. Your long-time, loyal staff are keepers of your company mythology; they experienced first-hand how you’ve handled challenges in the past, and remember situations that may have happened years ago that are key to what your company will and will not do now. This allows for faster, better decisions you can trust. Can you expect the same from brand new hires? Unlikely, unless they have someone to guide them who has been around. The true value of retention. If there’s no path for them to grow, or external leaders come in and mess up the culture of their team, you will lose good people. Walking out the door with them will be all kinds of valuable knowledge. 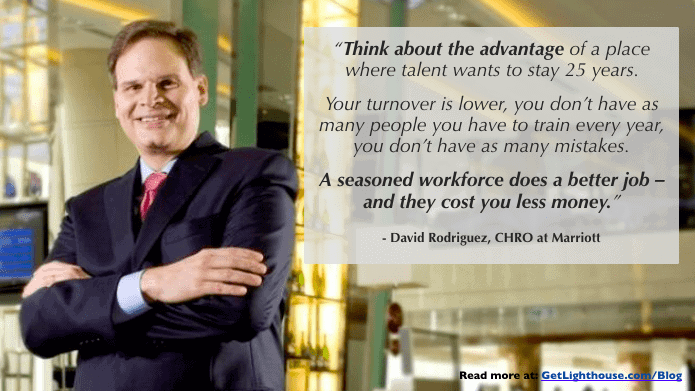 That’s why David Rodriguez, CHRO of Marriott, is so bullish on the value of a retaining your workforce long-term. There’s many key people practices she highlights leading to this difference. One of the most important ones is good management and a strong culture. Hiring and promoting the right leaders is a huge part of that. Retained: Good people are motivated to stay, saving you money and time on recruiting and retraining. Improved Asset: As they grow, they become more and more valuable to the company due to their experience and skill depth. Rising Tide: When you promote from within, openings cascade open behind them as others can rise behind them. This process can then repeat itself again and again to further strengthen your culture and reduce costs. Meanwhile, the knowledge you lose when employees quit hurts your culture, and the skills of the team they’re on. 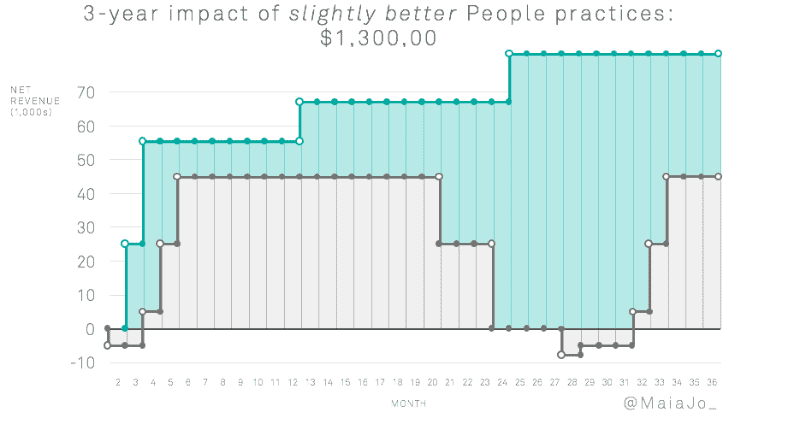 Why a good manager is worth $192,000 more than a bad manager every year. Why replacing a single employee can cost you over $65,500. 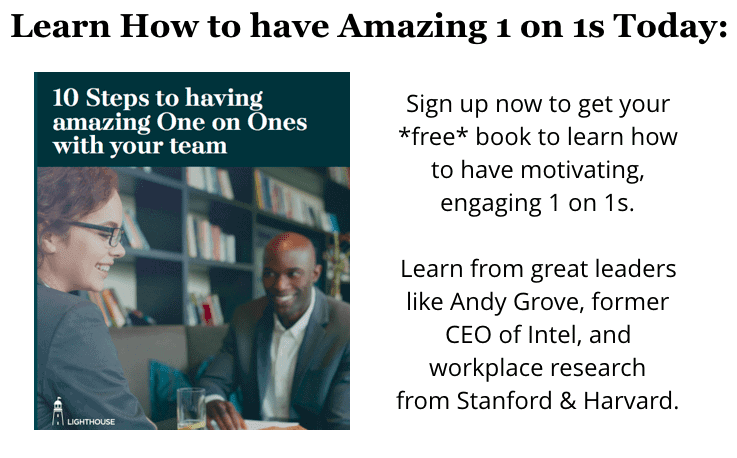 Use these 101 questions to open up your 1 on 1s to tap into the knowledge in your team you never get around to discussing. Are you setting your leaders up for success? Now, when you promote from within, your work is just beginning. None of this works if you don’t have a culture of developing leaders. It’s a major career change to become a manager, and every step up in an organization presents significant new challenges. If you’re not careful, it’s easy for the Peter Principle to derail your organization by filling it with people in over their heads. No one likes to work for a boss who doesn’t know what they’re doing. That’s why if you’re going to promote from within, you have to invest significantly in training and developing your people. Without help, you have to bet on how well they will self-teach, and have no standard approach to leadership in your company. 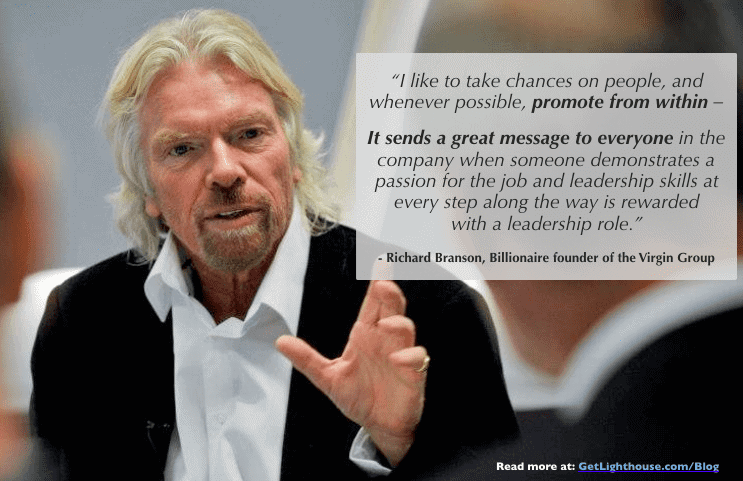 Do you promote from within? What benefits have you experienced by doing so?